​Two-stage ditches are drainage ditches that have been modified by adding floodplain benches within the overall channel. These benches mimic a natural floodplain zone. During high flows caused by storms or runoff, constructed floodplains allow the water to spread out and slow down, leading to greater channel stability. 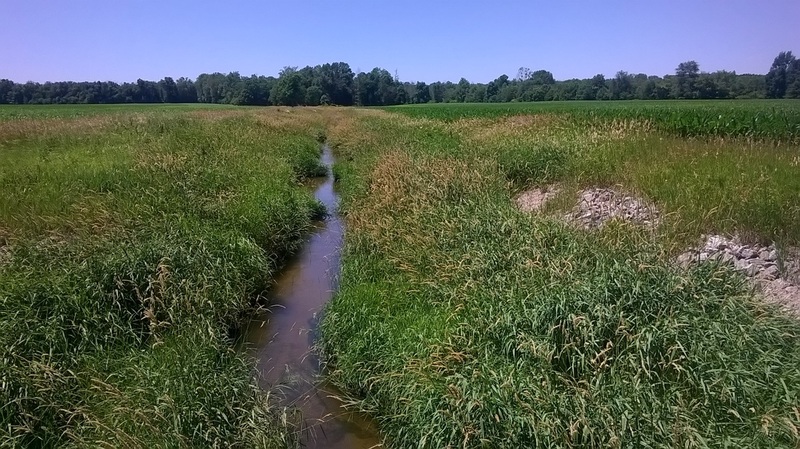 The two-stage ditch is a viable management practice because it takes little land out of production, especially when grass buffer strips are already present. Also, once constructed, the two-stage ditch requires little to no maintenance compared to conventional trapezoidal channels. It is therefore a practice that easily co-exists with productive agriculture. Having the vegetated benches to reduce the velocity of high flows means that a much greater proportion of sediments, and the nutrients attached to them, are likely to be retained in the watershed rather than be flushed out to cause problems downstream. 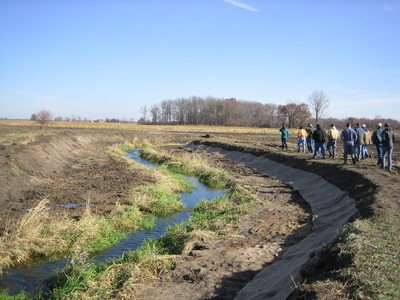 A 0.5 mile stretch of two-stage ditch was created on Shatto Ditch in 2007. 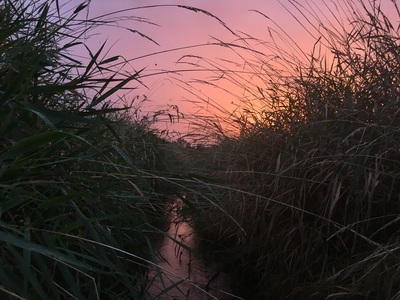 ​Watch this video to find out about how the two-stage ditch got started in the Shatto Ditch Watershed. 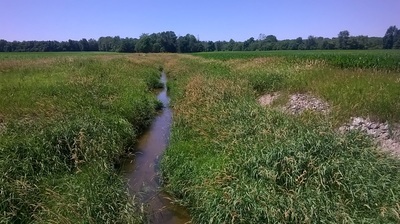 There is a stretch of two-stage ditch in the Kirkpatrick Ditch Watershed which is also approximately 0.5 miles long.